Could toukiden be the one? A while back I wrote an article enumerating the games that could potentially fill the hunting game void on the vita. I intentionally omitted toukiden even though it had been announced . At that time there was very little info on the game. I knew that the game was in development for both the vita and the psp. I also knew that team omega would be developing this game . Now I am not a big fan of dynasty warriors games so I was not that impressed with the announcement. Moreover I thought that they would just spin the dynasty warriors formula and make it into a hunting game .The first time I got excited about toukiden was when I saw it’s game bundle. I knew it then that tecmo was serious with this game. The premise of the game, it seems to me, is just an excuse for the player to fight huge demons. From the trailers it looks like that the gameplay would be very similar to monster hunter. The HUD consists of a health bar and a stamina bar. The map is divided into sections which will be freely accessible from the game. There will be traps in the game, the shock trap was visible in the trailer . The similarities with monster hunter end here. Demon slaying is a lot different from monster hunting. In their original form the demons have high resistance to the physical attacks. In this state the attacks are focused on their weak parts. These weak parts can be seen using a special skill called Demon eyes. Attacking a weak part regularly will destroy it. Once destroyed the weak part must be purified. Once sufficient amount of weak parts are purified the demon now enters a second state where a large amount of physical damage can be done to their life. Failing to purify a part will lead to regeneration of that part. This is a significant departure from monster hunter. Where in monster hunter attacking and breaking parts is a choice. Here it is essential. Breaking parts also offer the ability to enhance the stats of the character. The weapons in the game are standard of what you expect in a hack and slash game. But more interesting is the way you use it. Bow and arrow for instance can be used to target several parts of the demon at once and release a barrage of shots that damage them. 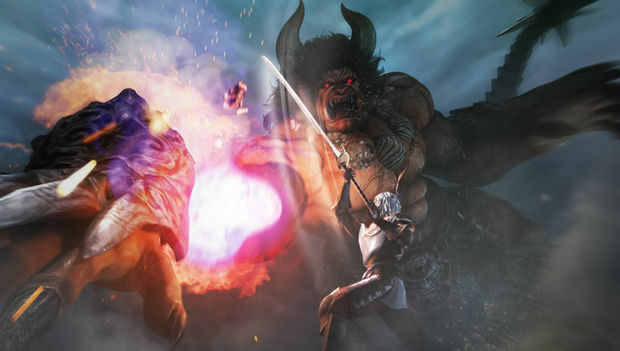 The dual swords give the character ability to jump and reach the parts of the demon that would have been distant other wise. Then there are metal punches. The interesting thing about them is that they have a special kind of attack which makes them deal more damage every time it is used. So while the weapons are familiar the game provides interesting ways of using it. 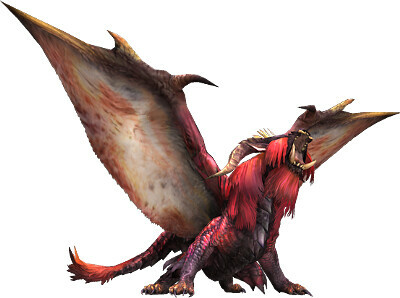 I have said it all along the reason that monster hunter is so great is because of the monsters. Everything else is secondary. I still remember the rush I got while fighting teostra for the first time. It took me a lot of tries before I beat him. But that was one of my most fulfilling experiences. The lore of monsters in monster hunter was amazing as well. The build up to ancient dragons was so exciting that when I finally got around to hunting them I was a bit overwhelmed. It felt like I was an uninvited stranger that is encroaching on their sacred land. Eight years before the main story, time and the heavens distorted and the underworld emerged into the land of man. A great demon rose from its gap and plunged the land into an age of calamity. The mononofu fought tooth and nail against the demon and its army for seven grueling days; they barely succeeded in their mission to save humanity. The great conflict was later called the “Oomagadoki”, and the mononofu whom fought in it were appointed to help restore the land’s political realm. The demons will be based heavily on the rich lore of ancient japan. Which is a very strong indication that demons won’t just be some foes to brandish your sword at. They will be a part of the ancient myth . The music in toukiden from the little that we have heard from the trailers sounds fitting. With Hideki Sakamoto behind it I have high hopes from the sound department of the game. 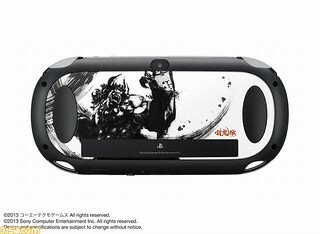 All in all it looks like toukiden could finally be that killer game vita needs in the japan. 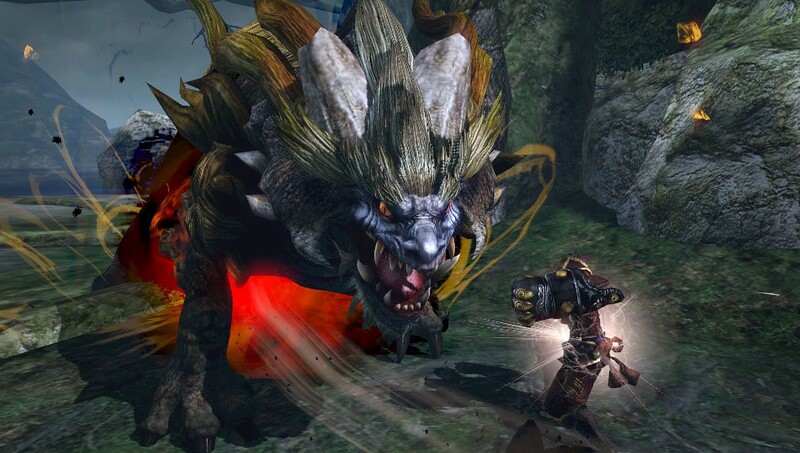 It takes the best elements of monster hunter , wraps it up in an ancient Japanese lore and a dark somber visual tone that gives the game so much character that seems to be missing from other hunting games.